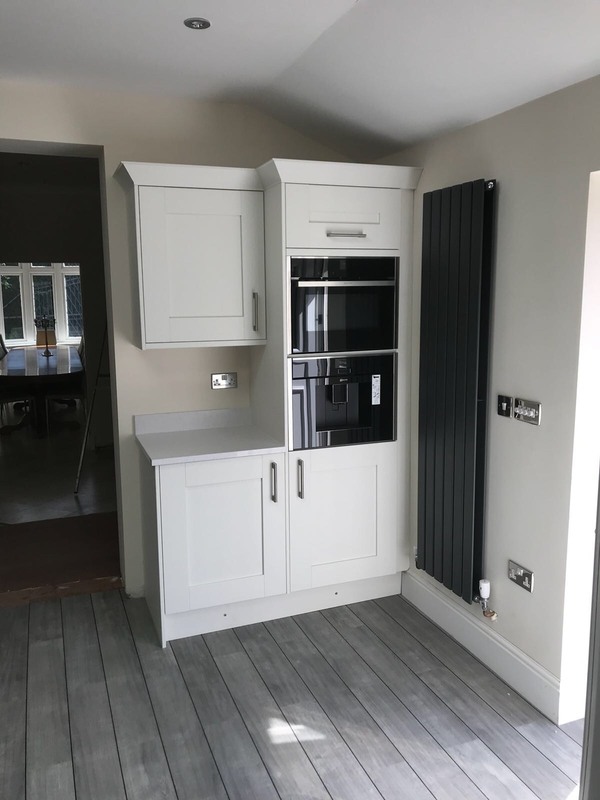 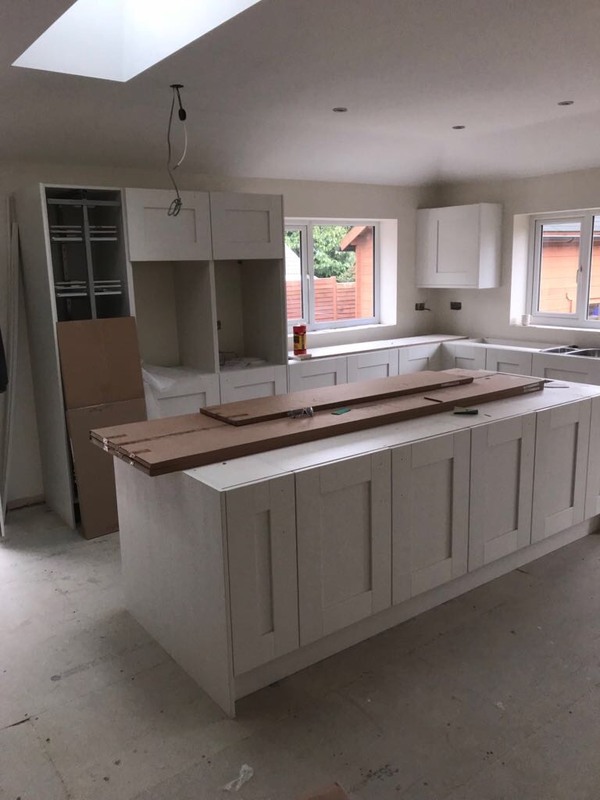 A recently installed kitchen for a customer in Millbourne porcelain for the units, Snowflake quartz worktop, and Neff appliances. 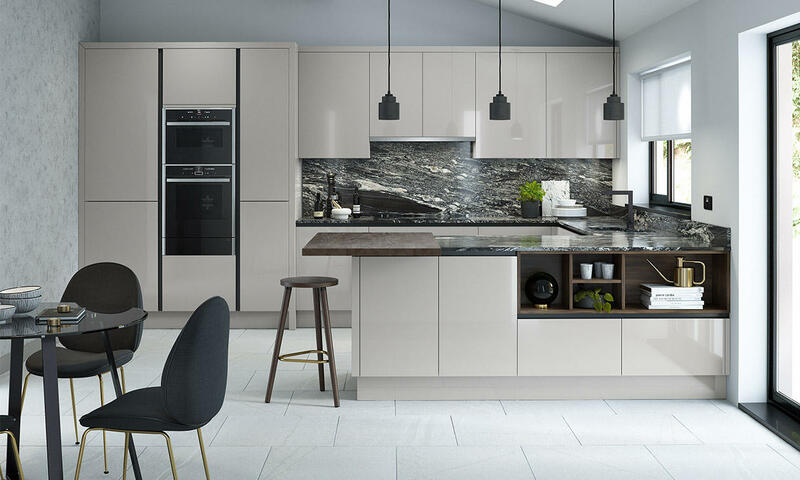 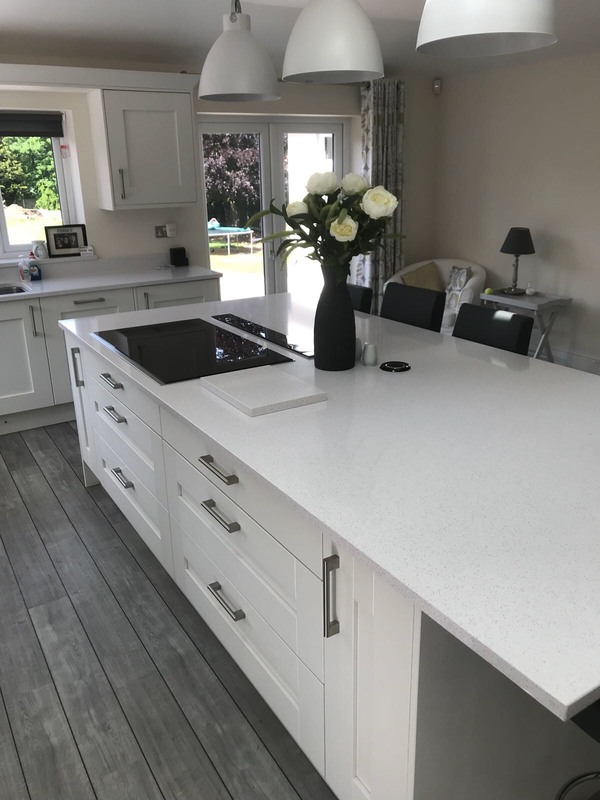 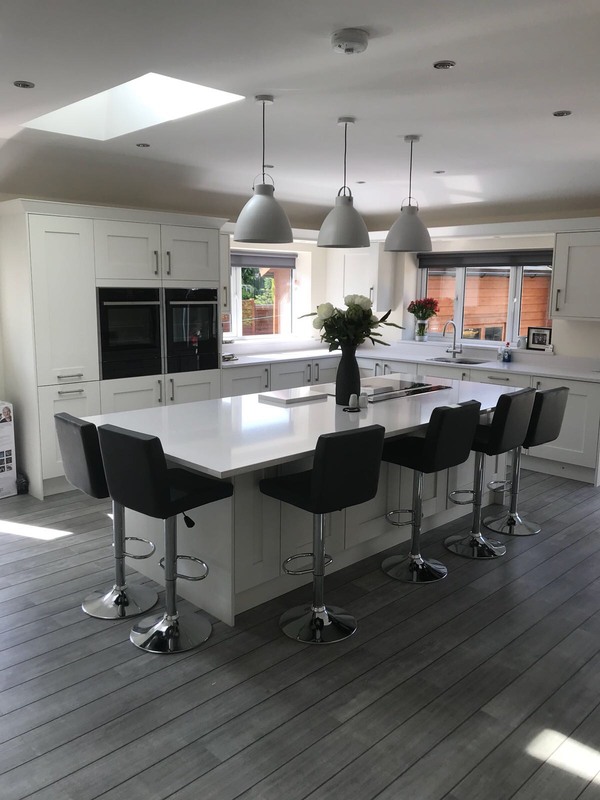 We love the white on white cabinet and worktop combination making it look bright and fresh. 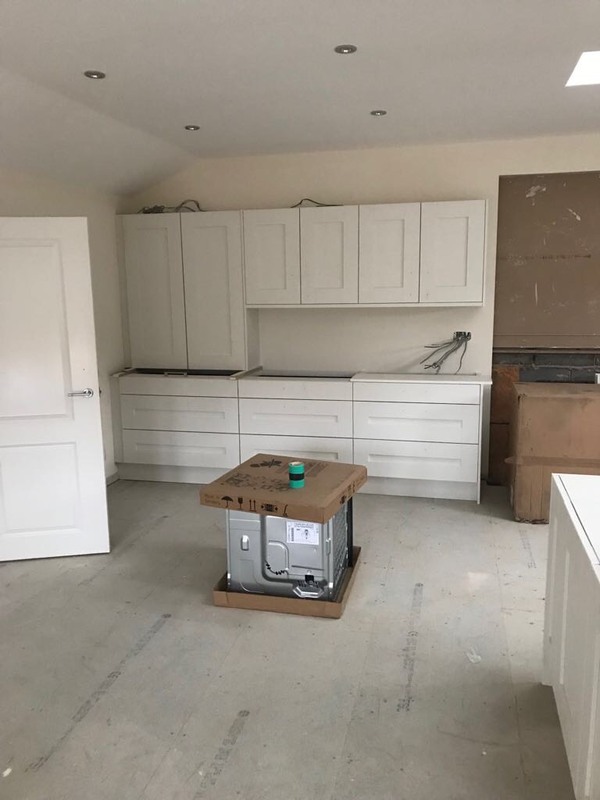 By adding a kitchen island the customer now has loads of storage in their new kitchen.